I came across this story while researching Lady Pirates. It's an incredible tale that I won't have time here to cover in depth. But I hope you'll find it as fascinating as I did. Especially because it happened in the year 1856 when women still had few rights. It happened on board a ship named Neptune's Car, which was a magnificent clipper ship carrying a valuable cargo of iron, sheet lead, and mining machinery from New York to the California gold fields. The captain was Joshua Patten, a 29 year old hardened seamen with vast experience upon the seas. Tired of being without him for the first two years of their marriage, Mary Patten convinced her husband to bring her along on this voyage. Her husband was happy to comply. 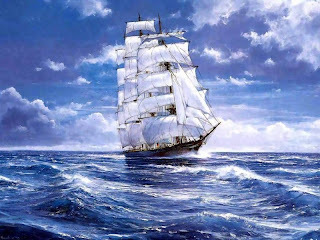 The ship set sail from New York on July 1st 1856 and sped southward under full sail. During the early days of the voyage, at Mary's request, Joshua was happy to teach his wife the art of Navigation. He taught her about winds and tides. He showed her how to calculate the ship's position with a sextant and chronometer, how to work out the correct course and how to keep a daily log of the ship's progress. She didn't realize how valuable these skills would be to her very soon. 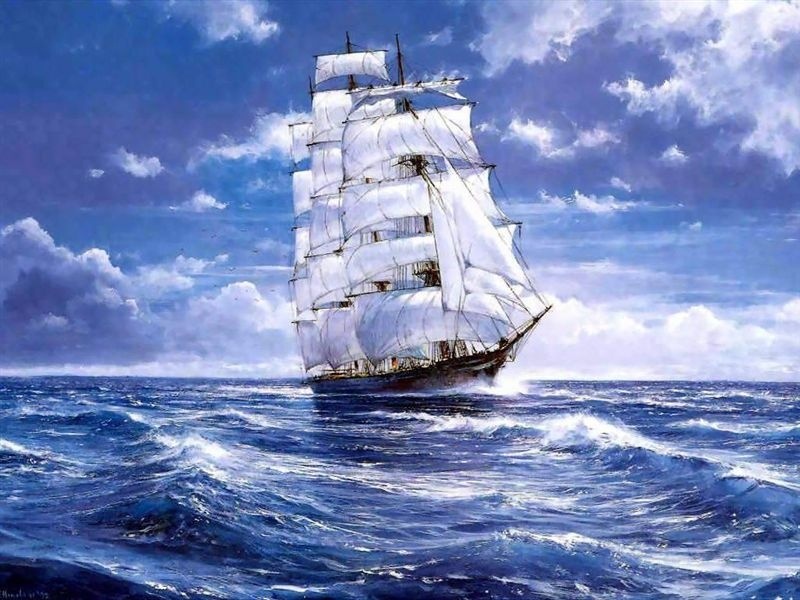 The storms off Cape Horn during October 1856 were so ferocious that one experienced sea captain was forced to retreat and take cover at Rio De Janeiro after his sails were torn to shreds and ten of his crew had been washed overboard. Soon the Neptune's Car sailed into the midst of this "perfect" storm. 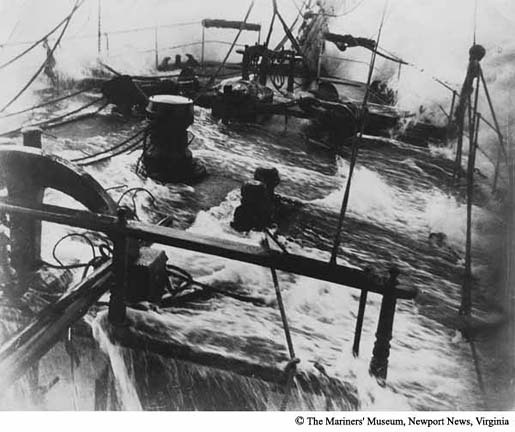 Joshua Patten spent 8 days without sleep, trying to keep the ship afloat and ice from forming on the rigging. Exhaustion overtook him and he finally collapsed on the deck. When Mary, his young wife, was called above, she instructed the men to bring him below and lash him to his bunk. After several hours, he seemed to be getting worse and Mary assumed he must be gravely ill. Now what was she to do? Usually the first mate takes over for the captain, but Joshua had removed the first mate due to negligence and replaced him with a man who had no idea how to navigate. To make matters worse, when the crew discovered the captain's condition, the original first mate tried to incite a mutiny! Mary knew she had to do something quick or she'd lose the ship and its cargo to either a mutinous crew or the storm. So, ordering all hands to muster on deck, she came above to address the crew. Try to picture the scene with me. Mary was only 19, a petite woman with black hair and what one observer described as "large, dark, lustrous eyes and very pleasing features" She wore a long gown that was tossed to and fro in the wind and clasped a shawl about her shoulders. A few weeks earlier she had learned she was pregnant. The crowd of men that faced her were rough, hardened sailors who had spent years at sea and had never taken an order from a woman. The ship bucked and leapt over massive swells, drenching them all in sea water, as the wind screamed and howled through the rigging. And through it all, this little lady climbed the ladder to the quarterdeck, planted her boots on the heaving deck, gripped the railing, and addressed the mob. Mary set double watches at night and put her keenest eyes in the tops during the day to navigate through the ice. For four long, frightening days, Neptune's Car eased her way west until finally they were free to head north into warmer waters. Mary's husband had two brief periods of recovery in between severe relaspses, one in which he lost his sight and the other in which he became deaf. Now Mary, at four months pregnant, was in full command of the ship. For the next 50 days, she did not even undress, sleeping in her clothes and focusing all her attention on getting to San Francisco. 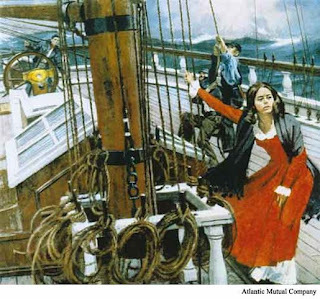 In early November, they sighted the bay and on November 15th, Mary insisted on taking the helm and steering the salt-stained vessel into port. Below, read a portion of the letter addressed to her by the Union Mutual Insurance Company, the underwriters for the voyage. Pretty cool, huh? And what's even cooler to me is that my maiden name is Patten. Hmm. Wonder if we are related? 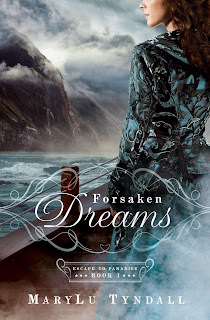 For more stories about women's heroic adventures at sea, check out my new release, Forsaken Dreams!! about a group of disgruntled Southerners who flee America after the Civil War and set sail for Brazil to start their own Southern Utopia! What a fascinating story, MaryLu! Thank you for sharing it with us. History contains some of the most interesting stories. Like Rhett Butler said when Scarlett drove off in her own carriage, pistol tucked in her skirts: "what a woman!" Great post, MaryLu. This made me smile big. I'll bet you are a direct descendant of this dynamic lady. Thanks Ladies!!! Her husband did live through this, but died shortly after they arrived home. :-( It's sort of a sad tale. They never said what he had exactly.. some sort of flu I imagine. As far as I know she never sailed again. I have my sister in law trying to find out more information on her (she has a login on Ancestry.com) I have questions too!!! I'm dying to know if I'm related to this fascinating woman. What a great story and an amazing woman! Enjoyed it. Great post and so interesting! that would be so cool if you were related. Wow, MaryLu, what a story! Mary Patten sounds like a character straight from one of your wonderful seafaring novels; The Red Siren leaps to mind. :) So cool that your maiden name is Patten. How neat would it be if your sister-in-law found a family link? Great post! Thanks for sharing! Wow, what an interesting story! Thanks everyone! I'll let you know what my Sister in Law discovers... I knew I had seafaring blood in me! LOL. This story would make a great novel, don't you think? fabulous info! how exciting..thanks for the new story! You have a way with words, MaryLu - felt like I was there with Mary for a few minutes! What a strong woman & what an amazing story - I wonder if her baby was delivered safely, considering the stress & physical work she must have endured during her pregnancy. Yes.. from what I have discovered, she did have a healthy baby boy!! Amazing, huh? Well, I'm going to have to say yes, you're related. That would be quite fitting! Thanks for an amazing story, MaryLu! What an amazing story, Mary Lu. Thanks for sharing.